After much speculations, El Niño is all set to finally make an appearance. 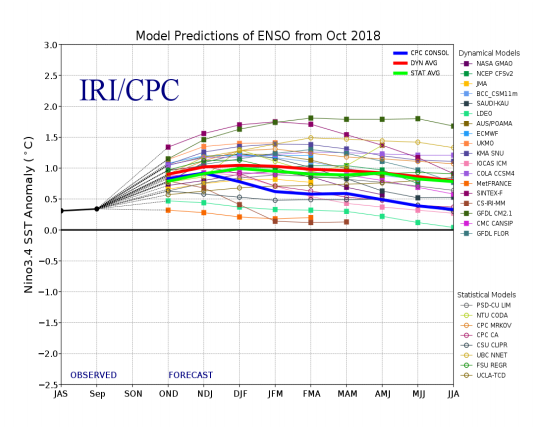 According to Skymet Weather, there is a broad consensus among all the dynamical as well as statistical models that weak to moderate El Niño conditions would prevail from October 2018 to December 2018. In fact, these conditions would persist during the winters of 2018-19, growing further strong. According to Skymet Weather, almost 90% of all the weather models across the globe are predicting 85% to 90% probability of El Niño conditions during NDJ (November-December-January). Following image will make the picture clearer. During September, sea surface temperatures (SST) anomaly in Nino 3.4 region, which is a deciding factor for declaring El Niño was 0.34°C, that is in the neutral limit. However, at present, SST and sub-SST anomaly in the same region have increased and are moderately positive now. This is also supported by the range of other atmospheric variables, wind being the most important one. At present, we can witness low level westerly winds, which is also an indication towards the arrival of El Niño. As per weathermen, El Niño causes reversal in global wind direction, affecting rains across many parts of the world. El Niño is a very complex phenomena to explain and is quite famous for its notorious behavior. Particularly for sub-tropical region that bears the maximum impact of this phenomena, invariably linked with below normal rainfall during the Southwest Monsoon. 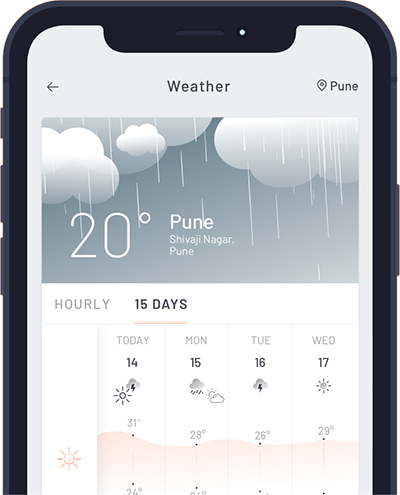 Although April or May 2019 onwards, there are some indications of the El Niño tapering down, however, Monsoon 2019 in India may not be able to escape the impact of this oceanic phenomena. Even in its devolving stage, it holds the power to corrupt the four-month long Monsoon season and sometimes leading to severe drought. 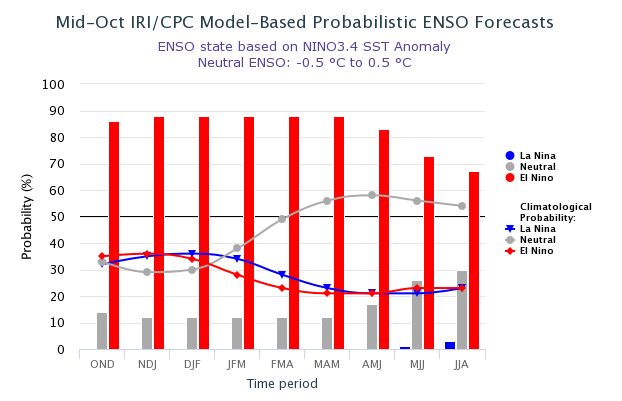 Weather models are indicating that although probability of El Niño decreases during MJJ but it will remain as high as over 70% and reducing further. 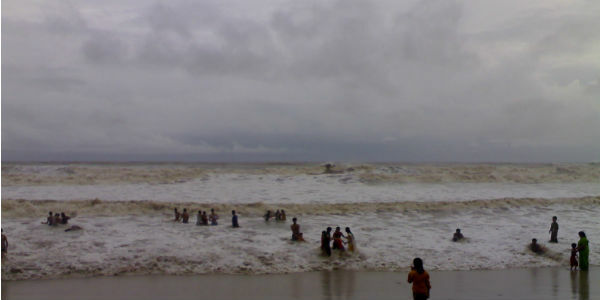 However, it is associated with normal or above normal rainfall during the Northeast Monsoon. But El Niño leads to warm winters or we can say milder than normal winter season. Meanwhile, possibility of La Niña returning in 2019 is zero. El Niño is famous for not behaving in similar pattern or same place every time it appears. There is no rule book for the same, keeping meteorologists on toes. The worst part is that it affects large parts of world. El Niño is one of the longest atmospheric process which takes months to establish. The journey is never smooth and goes through several variations, there is a great possibility that it may collapse in between that too without any indication or reason.